A fabulous addition to your new season wardrobe, the UZMA sandal is perfect for any dressy occasion. 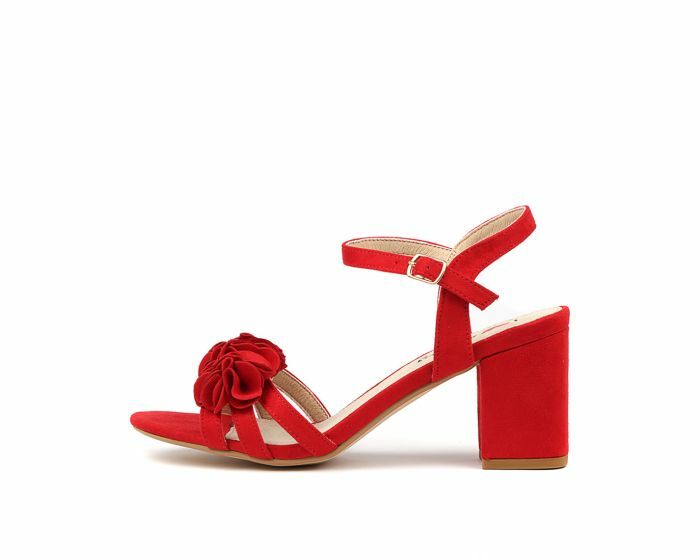 Composed of soft microsuede, this feminine and flattering design features ruffle detailing across the toe, with a delicate adjustable strap and a comfortable block heel. You can't go wrong styling this gorgeous piece with flowy dresses or flirty skirts.